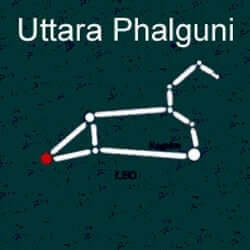 The Uttara Phalguni, or latter reddish one, is immortalized in a star called Denebola which rests in Leo’s tail. Also known as the “Star of Patronage” these natives are very compassionate. The region spans the Leo/Virgo cusp and resides mostly in Virgo. The Nakshatra is governed by Aryaman who presides over marriage and protects family assets. It is said that Shiva and Shakti were wed in this celestial mansion. 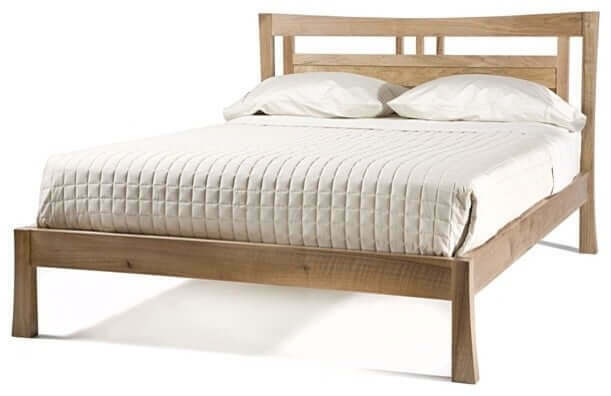 Similar to its preceding sister, Uttara is also symbolized with a bed. However, in the case of Uttara we view the bed from the side and see all four legs. Noble and generous, friendships are very important to these individuals. They tend to have a humanitarian focus and wish to heal all the world’s suffering. Generally polite and loyal they can be quite stubborn and controlling at times. Drawn to beauty in all its forms, they appreciate the arts; especially the social aspects. According to Vedic astrology people are generally attractive and have appealing eyes. Taller than most, they have a strong physical presence and may be prone to weigh gain in their later years. Many will have a prominent nose and/or a mole on their neck. Lacking in patience, they can be quick to react aggressively. Rather emotional folk, it can be challenging for them to calm down when the let themselves get carried away by their anger. Their courage and persistence can take them to the pinnacle of success in their chosen field. Independent and entrepreneurial they have the potential to attain much wealth and affluence. Known for their decisive nature, they make excellent leaders. These natives are known to excel in media, public relations, teaching, writing, math and science. Most of their financial successes will come when they are over 50 years of age. The native of Uttara Phalguni Nakshatra is generally bestowed with a solid birth family. Their parent’s example provides them with an excellent foundation for married life. These people are known to have strong marriages and harmonious households. They fear being alone and if they allow themselves to remain out of balance for extended periods they may end up entering into relationships out of fear. In these situations co-dependency and marital issues are sure to arise. Uttara natives are generally bestowed with good health according to Vedic astrology. Minor aches and pains, dental and stomach problems may occasionally be issues.